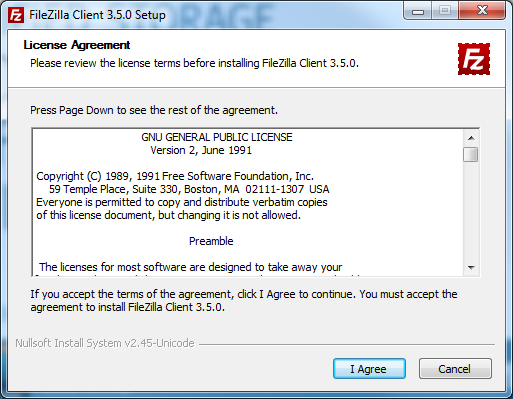 Instruct your customer to go to the following website. 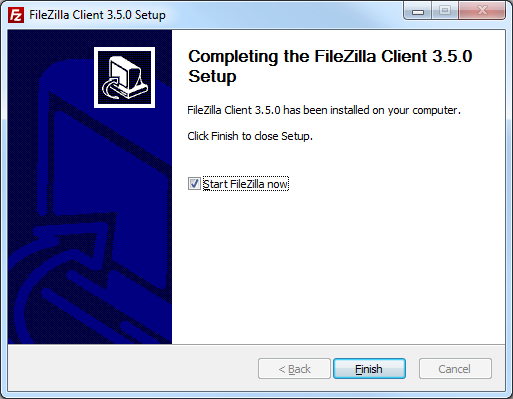 When filezilla has completed downloading Select "Run" or "Open"
Windows 7 and Vista users can select "Anyone who uses this computer"
After Selecting the appropriate choice click "Next"
Next we will select the components to be installed with Filezilla. 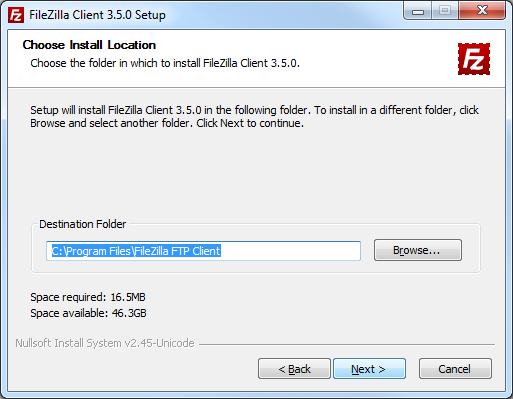 Note that "Filezilla Client" is greyed out. 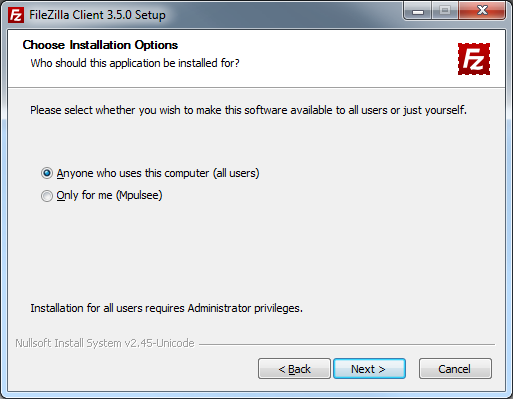 This is the only option that cannot be modified. 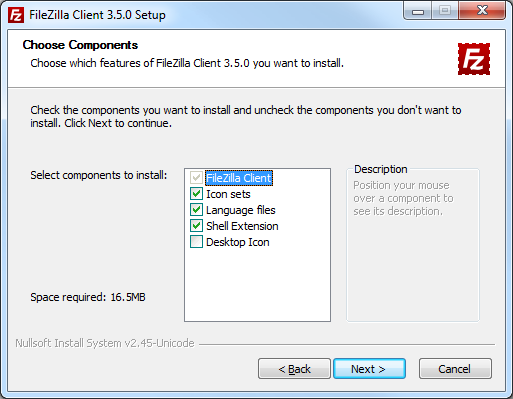 After deciding on your preferences click "Next"
In this section we will decide whether or not to create start menu icons. You can choose to have no shortcuts created by clicking on the "Do not Create Shortcuts" option. 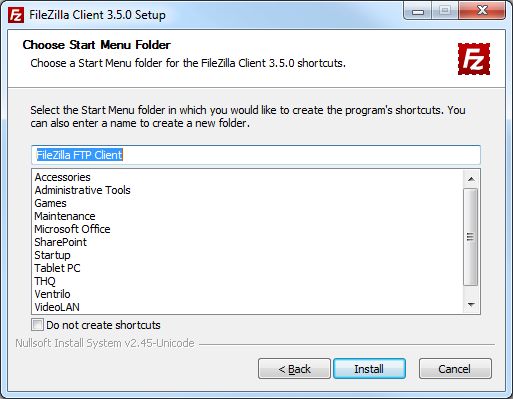 You can launch Filezilla by clicking on finish.